MINNEAPOLIS, MINNESOTA, UNITED STATES, September 27, 2017 /EINPresswire.com/ -- Abigail Harrison, also known as Astronaut Abby, a 20-year-old aspiring astronaut and international ambassador for space exploration and science, technology, education, arts, and math (STEAM) education has been invited by the Al Sharq Youth Forum to represent The Mars Generation nonprofit at their Annual ‘Embracing the Future’ Conference in Istanbul, Turkey October 7- October 8, 2017. 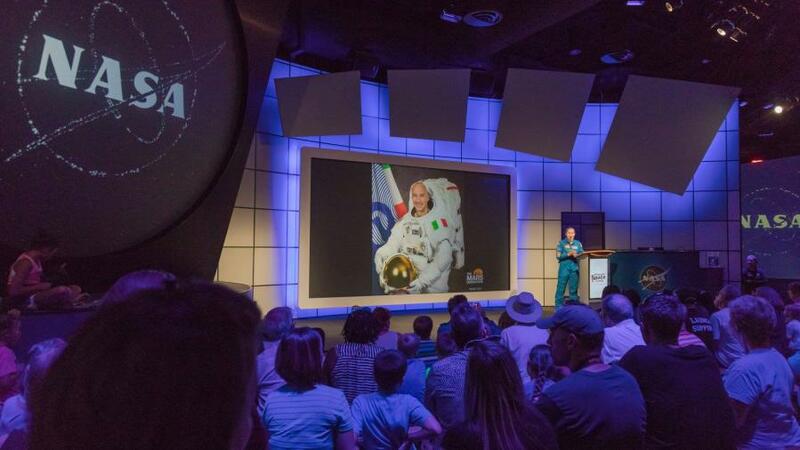 Harrison will appear as a guest speaker to talk about her own journey toward becoming an astronaut and being the first person to step on Mars. She will also share the story about The Mars Generation, a nonprofit founded by Harrison that is dedicated to advancing space exploration and STEAM education. 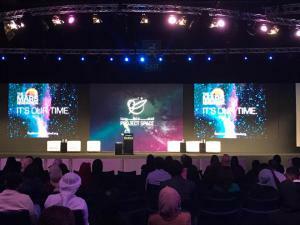 The Al Sharq ‘Embracing the Future’ Conference is an opportunity for hundreds of young leaders from around the world to find dynamic solutions to pressing issues facing the world today. Over 800 participants, including more than 60 experts, academics, policy-makers, current and former elected officials, and journalists will gather in peer learning and best practice sessions. The goal of the two-day event is to create an awareness among youth and youth leadership for both practical and programmatic approaches to navigating a constantly changing world. The agenda for the event includes workshops, competitions, performances, and more from across cultures. Currently with an audience of more than one million fans and followers, Harrison is recognized as a leader in her generation, the Mars generation – identified as the generation expected to first step foot on Mars in the mid 2030's. •	Participate in a diverse variety of sessions including several keynote speeches, dialogues and panels that are aimed at broadening the outlook of the participants in several topics. •	Offer hope to young leaders and encourage them to find dynamic solutions to the pressing issues facing the world today. •	Tour Turkey and see local history and attractions to gain an understanding of the culture and people. For real time updates of Harrison’s unprecedented tour of Turkey as an international space and STEAM ambassador from October 6- October 10, 2017 follow the hashtag #TMGtoursTurkey on Twitter, instagram and Facebook. Harrison is the founder of The Mars Generation nonprofit. Currently a junior at Wellesley College in Massachusetts majoring in Astrobiology and Russian, Harrison is positioned to enter a PhD program upon graduation and continue her pursuit of becoming an astronaut and member of the first human crew to land on Mars in the 2030’s. Supporters around the world follow her journey to becoming an astronaut via the blog Harrison authors at AstronautAbby.org and on Twitter, Facebook, Instagram and YouTube. The Mars Generation is an international nonprofit founded in 2015 in the United States. 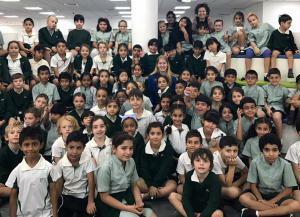 The organization offers programs to excite and educate students and adults about the importance of human space exploration and STEAM education. The organization is volunteer-driven with a board of directors that includes astronauts, engineers, scientists and professionals from the nonprofit and business communities. The organization has had tremendous growth in the first two years of operation with more than one million followers on social media and a reach of more than 25 million people. The Al Sharq Forum is an independent international network whose mission is to develop long-term strategies to ensure the political development, social justice, and economic prosperity of the people of the Al-Sharq region located in the Middle East. The Al Sharq Forum reaches its mission through public-spirited research and high-quality events, promoting the ideals of democratic participation, multi-stakeholder dialogue and social justice.